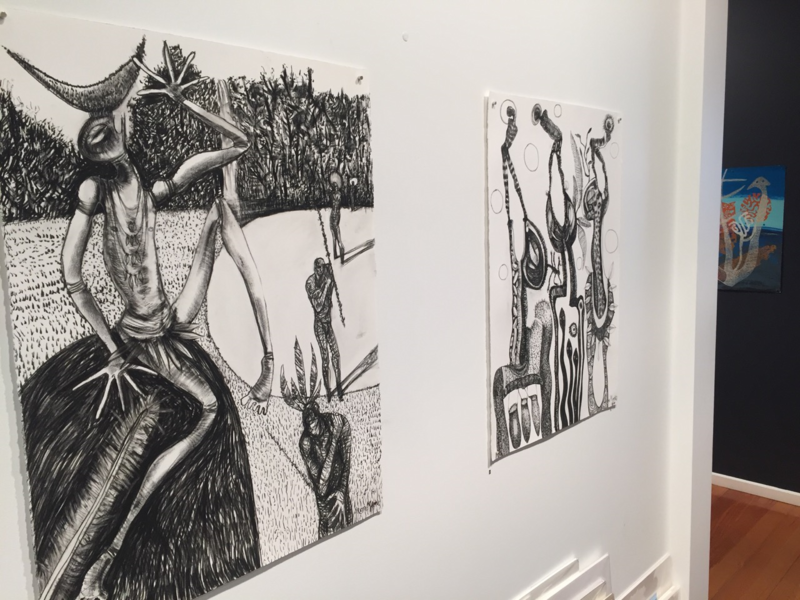 Arone Meeks is in Mildura at The Art Vault, a privately funded contemporary arts facility housing three gallery spaces as well as specialist printmaking facilities. Named after the building's original incarnation as a bank, The Art Vault was opened in 2008 by Julian Burnside and Robyn Archer, and has since attracted a large number of prominent and emerging artists. It also operates a successful artist in residence program. Currently The Art Vault is promoting the Arone Meeks residency and exhibition as the journey of a saltwater man to freshwater country. "A connection of songlines, histories and trade routes that he will inevitably return to, as part of a cycle of culture sharing, teaching and learning, to engage with the local indigenous arts community. The process has also been one of discovery within a unique environment and landscape of extremes," explains Geoff Dixon. "Transit and transience hold great significance in Arone's work - defining him as a constant traveler, both geographically and spiritually. He views the world - though inextricably divided by culture, borders and the displacement of people that is particularly acute to us today - as evolving by continual movement / migration since the beginning of time." Exploring his indigenous connection has indeed been a work in progress for Meeks, connecting many individuals and communities. Born in Laura, Far North Queensland, his creative future was informed by his Kukumidiji country and its remarkable rock painting, the rainforest and the reef. He then spent time in the arts community of Mornington Island, emerging with stories from his maternal grandfather. 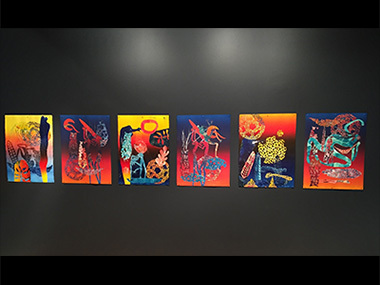 And his identity as an artist consolidated into his own language and imagery, so much so that he co-founded Boomalli, a like-minded cooperative of indigenous urban artists feeling displaced from traditional indigenous art and contemporary Australian art. But his individual creative journey has reaped many successes, awards and residencies. This latest exhibition comes on the tail of another two recent and pivotal group projects Meeks has been involved with. 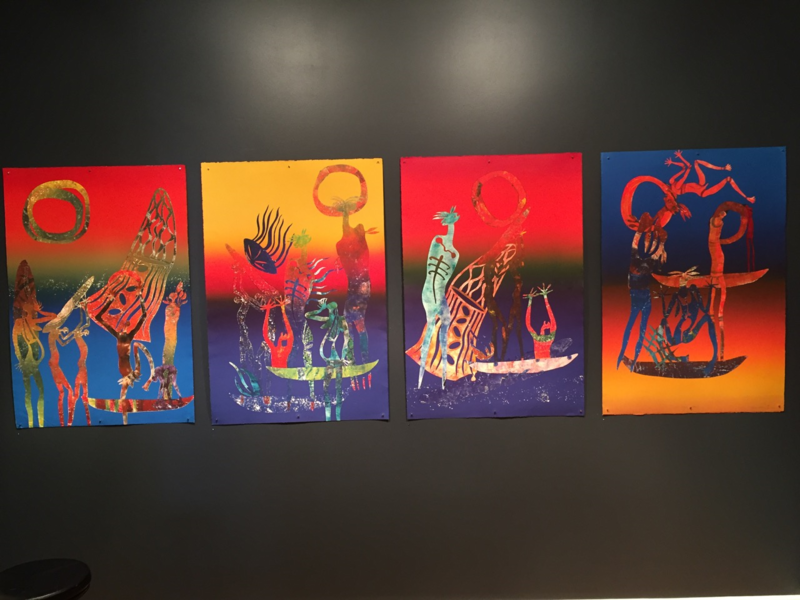 Most recently, "Sorcerers, Warriors and Spirits", an exhibition curated for the Cairns Indigenous Art Fair at KickArts Contemporary Art Space and exploring contemporary indigenous spirituality. And "East Coast Encounters", an initiative of the Maritime Museum, Sydney, which documents Cook's journey up the coast past Arone's Country and beyond - to Possession Island. It's not surprising that he regards his time here as one of culture sharing where his art informs his audience / indigenous workshop students - and vice versa. Because this also happens to be the way his printmaking techniques, namely mono-print, linocut and lithography, inform his painting. The exhibition runs until 7 December 2015.